As previously reported, Damian Lazarus and friends will celebrate the “cosmically significant” date of December 21 with an epic 24-hour party in Mexico. “Back in January I had something of a cosmic experience which led to me creating Day Zero ,” Lazarus tells FACT. “I had been told by a Shaman that I needed to place myself underneath the moon with my arms raised towards it for one hour between 10 and 11pm in order to draw power from the Universe. And so one night my friends and I were hanging out on the beach in Tulum and I decided to give it a go. December 21, 2012 – Day Zero – was believed by the Mayans to signal the end of the life cycle. Not the apocalyspe, but rather, in Lazarus’s words, “the beginning of a new chapter.” The Crosstown Rebels boss’s celebration of the occasion takes place at the stunning Playa Del Carmen site in Mexico, and boasts a suitably monster line-up featuring the likes of James Lavelle and Massive Attack’s 3D (playing a special collaborative DJ set), Totally Enormous Extinct Dinosaurs, Jamie Jones, Art Department, Trentemoller and many, many more. 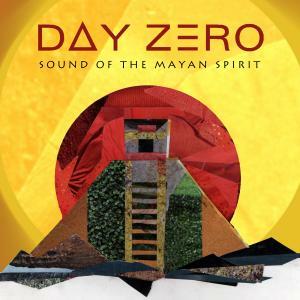 To herald the event, Lazarus has put together a mix, entitled Day Zero: Sound Of The Mayan Spirit. It’s officially released by Crosstown Rebels on December 3, but for a limited period you can download it in its entirety free of charge.